Bengaluru-based digital payments firm Obopay has acquired mobile balance tracker app Mubble for an undisclosed sum, a company statement said. The deal will allow Obopay to strengthen its data analytics capabilities and mobile app expertise. As part of the acquisition, Ashwin Ramaswamy, co-founder and chief executive of Mubble, will join Obopay, the statement added. Mubble’s other co-founder Pranav Jha (chief product officer) has joined Obopay’s sister concern, while the third co-founder Raghavendra Verma (chief technology officer) is yet to confirm whether he will be part of the payments company, Shailendra Naidu, Obopay’s chief executive, told TechCircle in a telephonic conversation. Naidu said in the statement that the deal will allow the company to capitalise on prepaid data analytics and content recommendation. “The strategic acquisition of Mubble is a significant step in strengthening Obopay’s service offerings in Indian and international markets. The recommendation algorithms and data analytics capabilities of Mubble will significantly boost our services in all the markets where we operate,” he added. Mubble’s platform offered two services—one which provided personalised content in a social context and a utility application built on a smart recommendation framework, Naidu explained. Founded in 2013 by Ramaswamy, Jha and Verma, the startup operated an Android app that allowed prepaid cell phone users to track their usage. It assisted prepaid mobile users to curtail unexpected balance deductions by generating something similar to an itemised usage bill on the handset itself. It intimates users of charges incurred after every call, SMS or data session and saves that information on the device for future reference. Mubble does this using an on-device text analytics engine. Besides, it also operated a Kannada news and magazine aggregation app called Suddikatte. In October 2015, Mubble raised an undisclosed amount in a Series A funding round from Accel Partners. In September that year, it had also secured an undisclosed amount of investment from Infosys co-founder Nandan Nilekani. The payments company was founded in 2005 and provides digital and mobile payments solutions for enterprises in telecom, banking, financial services and insurance, and supply chain. 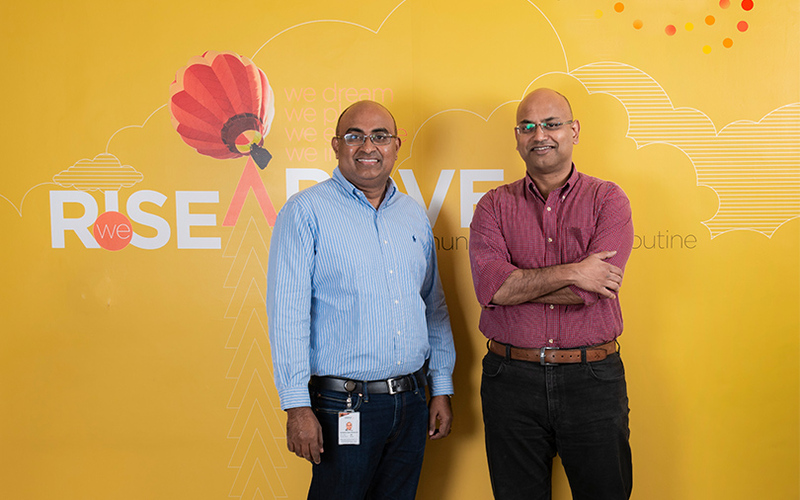 It is run by former Infosys vice president D Padmanabhan, who is the chairman; Rajiv Kuchchal, who is director; and Mandeep Vakani, who is the chief operating office and chief technology officer. Obopay’s solutions are used by companies present in more than 11 countries in Asia, Africa North America. Airtel from India, Telecel from Zimbabwe and the Azam Group from Tanzania are some of its customers. It is backed by India-focused private equity firm Elephant Capital, which is listed on the London Stock Exchange’s Alternative Investment Market, as part of its unlisted portfolio in India. During Obopay’s Series G investment round in 2011, Elephant Capital wrote down its investment in the firm. This valued the company at £0.15 million at that time. In October last year, Obopay received $10 million in investment from Banque Atlantique, a West African financial services conglomerate, information on VCCEdge, the data research arm of News Corp VCCircle shows. In December 2017, the payments firm received a wallet license from the Reserve Bank of India, according to VCCEdge.